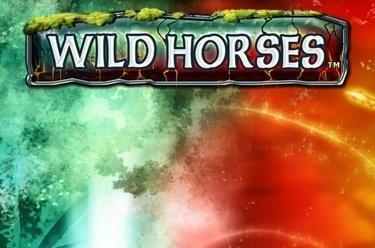 Play Wild Horses™ online for free now! Now you have to decide: Will you choose the fiery, wild black horse or the noble, good-hearted unicorn? In the game Wild Horses™ it is entirely up to you which side you fight on - either way, you’ll ride your chosen warrior towards the Twists across 50 lines. You can win with both, so the decision is yours! In Wild Horses™ you ride directly to the Twists across up to 50 win lines: You only need three to five identical symbols on one of the lines. The winning patterns, which start on the left reel and continue along to the last reel on the right, must not be interrupted by any other symbols. The wild horses logo is the joker symbol, which substitutes for all other symbols in the game. It can therefore complete your winning combinations. 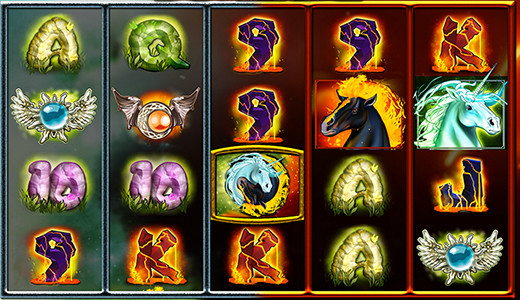 The unicorn (scatter symbol) triggers 10 Free Games with the Horse-Power Bonus if three of them land anywhere on the reels. If 3 or more scatter symbols (unicorns) appear anywhere on the reels, 10 Free Games with the Horse-Power Bonus will be triggered. Before the Free Games begin, you must choose a side: the black horse or the unicorn. If, during the Free Games, more symbols of your chosen horse than the other appear (e.g. more black horses than unicorns), the Horse-Power Bonus will be activated and you’ll win an additional 10 Free Games.